The Oak Island lighthouse is the brightest lighthouse in the United States. Its beam is rated at 14 million candlepower. It can be seen for over 20 miles out to sea. Sailors moving up and down the coast by that lighthouse are warned of danger, but they’re also shown something else. Each lighthouse has a unique signal. The light stays on for a certain amount of time and then goes off for a certain amount of time so that sailors can know exactly which lighthouse they see and therefore where they are. Jesus came into this world to be a great light for you. He warns of your danger in this dark and sinful world through His law. He guides you away from the rocks of sin and their resulting death. He leads you safely to heaven with the good news that He is the Saviour. By dying on the cross, He paid for your sins. By His resurrection from the dead, the doors of heaven have been thrown open and sinners like you and me can safely enter into the harbor of God’s presence. It doesn’t matter where you are right now. It doesn’t matter how great a mess you have made of your life. 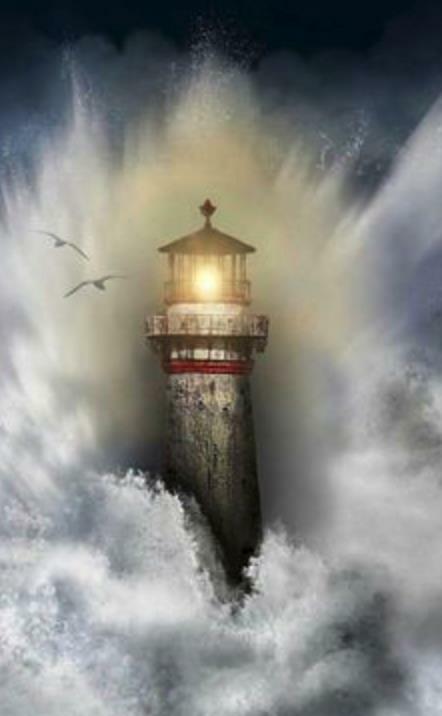 It doesn’t matter what the storms of life may be throwing at you. What matters is Jesus. Follow His light and He will lead you safely home to heaven. Join us this Sunday as we gather around the light of God’s Word and learn of all that Jesus has done so that we can make it home to heaven.